Justinmind takes a look at some of the most common user experience dark patterns and reveals how, with just a little bit of tweaking, they can change into UI patterns that promote positive user experiences. What are UX dark patterns? Why are dark patterns so common? The darkness lies in the fact that the pattern is misdirecting you – you think you’re picking travel insurance, but then suddenly you’re telling them your country of residence, and it doesn’t look like deselecting travel insurance is an option. Unless you skim down the list and spot it there, formatted to look identical to the countries of residence. Misdirection is easy to tranform into a positive UI pattern. 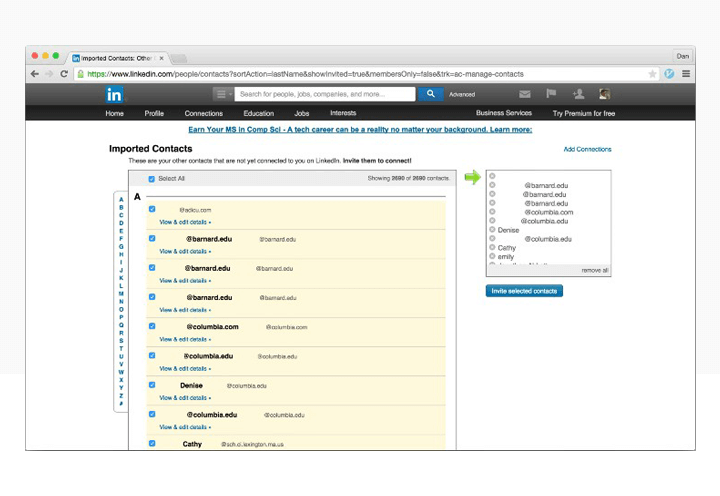 Allow users to answer the actual question they are being asked, and avoid mixing categories of response. Different selections – ie a country and a paid add-on – should be structured differently and placed in different parts of the interface. Image credit: Spot the unsubscribe! Invisible unsubscribes are the worst cases of dark UX. But plenty of reputable companies try to make it difficult. Take Amazon, who grays out their Unsubscribe option. Or companies who format it to make it look like it doesn’t have a link. The solution? Simple – format the link like it’s a link, and always include the unsubscribe option. For example, we make it easy for Justinmind subscribers to stop our mails if they want to (sad trombone 🙁 ). Invisible unsubscribe dark patterns are so common there’s even a Tumblr dedicated to them. No one likes email spam. But even worse than getting spam is finding out that you yourself are the unwitting spammer. 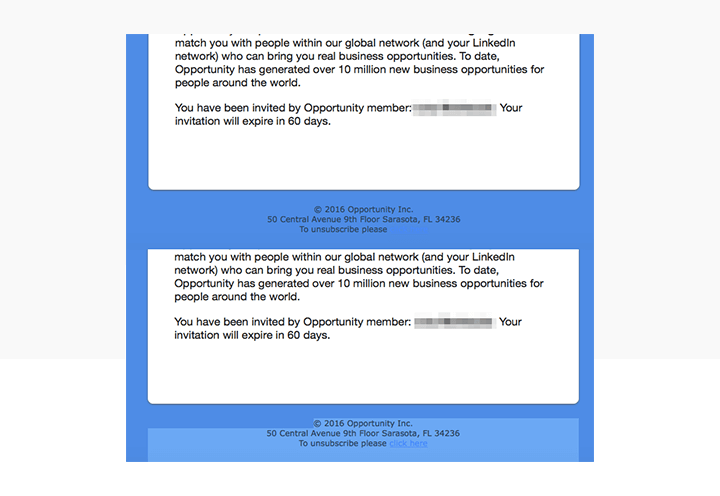 This can happen when apps or services you join ask for access to your email contacts – they make out like they just want to help you find friends already using the same service, but in reality they want to spam all your contacts with invitations to join up. Classic dark pattern. Dark UI design gets really dark when money is involved. This is the case in examples of ‘forced continuity’, a UX pattern that sees users sign-up for a free trial of something only to find themselves slyly rolled into the paying scheme without prior warning or permission. And it’s not just small companies or hungry start-ups that trick users into signing up for monthly payments – big companies such as PizzaHut and Ryanair (again) have been condemned for concealing monthly sign ups as ‘special offers’. How does it work? Often through button styling or disguised adds. For example, a pop-up can appear offering a discount or special offer; in the small print will be a condition saying that the offer depends on becoming a monthly ‘member’. Luckily, users are now pretty switched on to forced continuity thanks to several high profile legal cases. Assuaging user fears about getting tricked into monthly membership fees depends on formatting UI buttons honestly and clearly – check out Justinmind’s advice for best practice button design. Also known as ‘inertia shopping’ or ‘negative option billing’, this dark pattern consists in an extra item being snuck into your cart when online shopping, usually via a well-hidden or confusing opt-out button. Thankfully the pattern is now illegal in most European Union countries. Despite that, some companies still try varieties out. 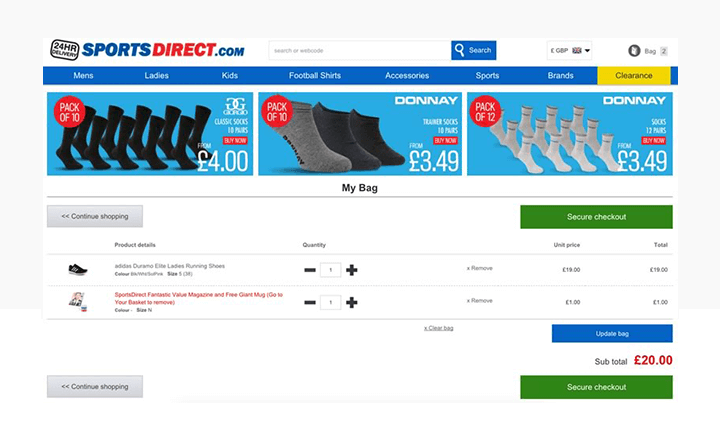 Take the example of Sports Direct, called out by Anthony McLoughlin in Tone: the sports apparel store offered online shoppers a ‘free mug’ and magazine. Great! Except the mug cost 1 euro, and was added by default. Users had to actively Deselect the option. If only 1 in 10 shoppers gets caught out, that’s a big increase on profits worldwide. 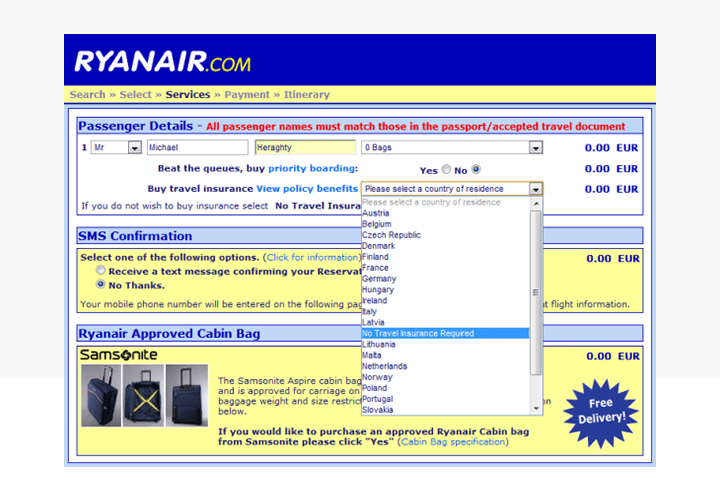 The user experience rule for this is – give the user control over what they put in the basket. Extra items, if suggested, should be deselected by default. Additionally, the full price should be made obvious at every step of the buying process. It’s not difficult to turn sketchy UI design into user-friendly UI patterns. Put the user first, design for experience not for short-term profit, and be transparent about what the interface is doing. Ultimately, if a business’s UI creates a shadey, suspicious experience that leaves the user feeling defrauded or patronized, that business will lose out in the long term. If you rely on dark patterns you’re fair game for a competitor to come along and provide a product, service or interface that wins over customers through delightful UX design, not through dark patterns.